Junk King’s mission has always been to make your home into a better place. Clearing out furniture, appliances and other household goods frees up a lot of space and that can make a huge difference. Sweeping up those areas that they’ve just cleared is just how they pay attention to details. Those prices are always based on how much space your stuff will fill on the back of the truck. It all comes down to volume and not weight. Shop around and you’re sure to find that this is the fairest approach for this type of service in the area. This isn’t the first time that the junk King crews have gone above and beyond the call of the job and it certainly won’t be the last. Are you ready for Junk King Atlanta South transform your home? Put them to work today. 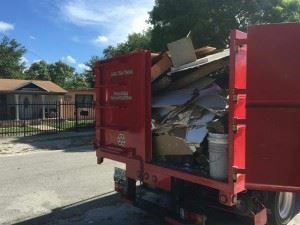 This entry was posted in Atlanta South Junk Removal and tagged junk king, junk removal, reviews, rubbish on September 25, 2017 by Junk King. Last updated September 25, 2017 .